Against the terrifying backdrop of bombs, the National Youth Orchestra of Iraq – NYOI – began in the most trying and tragic circumstances. 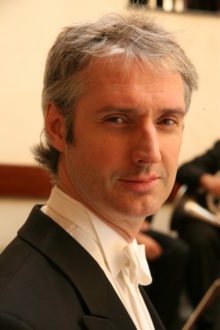 In Upbeat the Orchestra’s compelling story is told by its musical director Paul MacAlindin. Listen to the NYOI, a beacon of hope and achievement, play Beethoven’s iconic Eighth Symphony below. The story of the National Youth Orchestra of Iraq is here told by its musical director from its inception to its eventual end. The NYOI came through the most difficult and dangerous of times to produce fine music not only in Iraq but also in Britain, Germany and France. A beacon of hope and achievement the young musicians and their tutors made bridges across their own ethnic divisions, made great music in the most trying and tragic of circumstances, and became their country’s best ambassadors in 5000 years. Author Paul MacAlindin discovered from an early age that he loved being an artist leading artists. As a musician, dancer and all-round performer, he found his voice through conducting, a passionate journey that has led him to work with orchestras and ensembles all over the world, from the New Zealand Symphony Orchestra to the Armenian Philharmonic to the Düsseldorf Symphoniker. 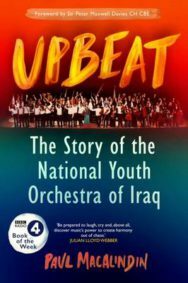 Upbeat: The Story of the National Youth Orchestra of Iraq by Paul MacAlindin is out now published by Sandstone Press priced £19.99. 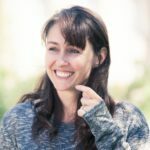 You can read more about the book, the NYOI, and it’s unusual genesis in this article here.